Police in a San Diego suburb said Wednesday that the item held by an African-American man who was fatally shot after allegedly taking a “shooting stance” was a vape smoking device. 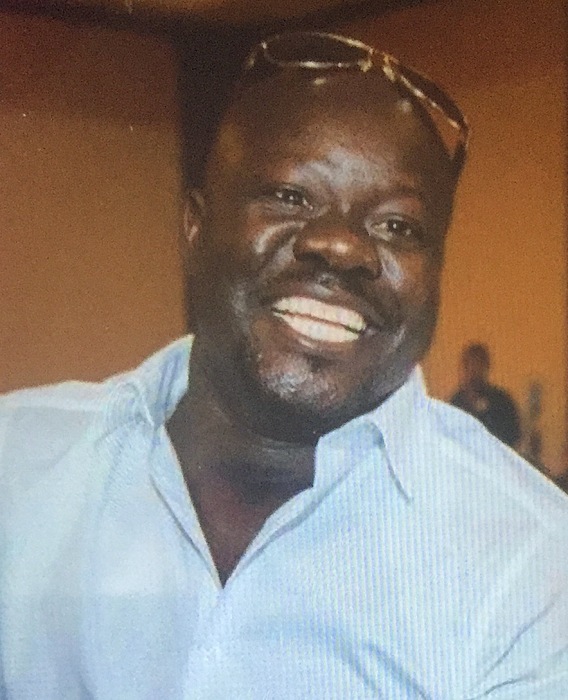 El Cajon police identified the man who was killed Tuesday as Alfred Okwera Olango, 38. His death sparked protests in the city of about 99,400 people about 15 miles northeast of San Diego. 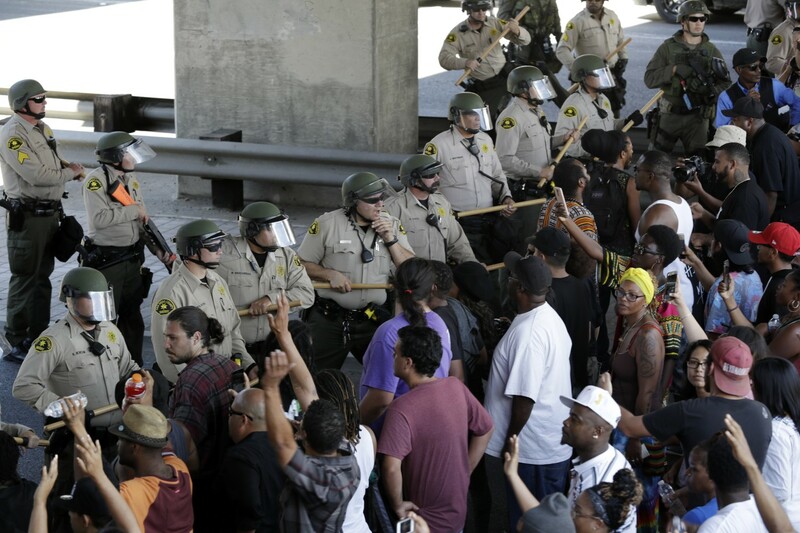 Protesters blocked traffic Wednesday but were peaceful, NBC San Diego reported. Police have said 911 calls that began shortly after 1 p.m. indicated that Olango was “not acting like himself” and was walking in traffic. When police arrived around 2:11 p.m., the suspect allegedly refused commands and “rapidly drew an object from his front pants pocket, placed both hands together and extended them rapidly toward the officer taking up what appeared to be a shooting stance,” at which point an officer shot him, El Cajon police said in a statement. Olango later died. An attorney representing his family said in a statement it was clear that Olango was under mental distress. “I did not call the police officers to come and kill my brother,” a woman who said she was Olango’s sister said at the scene. Police said Wednesday night that a “psychiatric emergency response team” clinician was assigned to a police officer Tuesday afternoon but that they were unavailable because they were on a different call, also related to a mental health situation. Police described the vapor smoking device Olango was allegedly holding as a 3-inch-long cylinder with a box containing the liquid. They said Olango was gripping the box with the cylinder pointed at officers. The shooting happened within two minutes of officers’ arriving, NBC San Diego reported. Police said a second officer used Taser stun device at the same time the other officer fired, police said. El Cajon Mayor Bill Wells said the FBI will also investigate the shooting, as well as local police and the San Diego County district attorney’s office. And he begged protesters to remain peaceful. El Cajon police said officers were not wearing body cameras. The City Council recently authorized buying body cameras, and while they have been ordered, they have not yet arrived, police said. Cellphone video showing the encounter was recovered, authorities said, but it has not been released because the shooting is still under investigation, Police Chief Jeff Davis said. He said the video backs up the officers’ account. “We will be transparent. This will be investigated. This will be looked at by many sets of eyes, not just ours,” Davis said Tuesday. Wells said that he has seen the video and that once the video is released, “I don’t believe that it will be a tremendously complicated process for people to figure out what happened. Police have not officially released the name of the officer who shot Olango. Davis said both officers involved have more than 21 years of experience as police officers. Olango’s death comes amid heightened tension over the use of deadly police force against African-Americans. The shooting in El Cajon occurred a week after Charlotte, N.C., erupted in protests after police there fatally shot Keith Lamont Scott. Police said he was armed, but protesters questioned why deadly force was used. Laura Duffy, the U.S. attorney for the Southern District of California, said in a statement that her office was aware of the shooting and was in contact with local authorities. “If in the course of the local investigation, information comes to light of a potential federal civil rights violation, the Justice Department is prepared to review,” Duffy said.